As well as having a keen interest in Linux I also have a very keen interest in retro gaming. I have in my possession a number of different games consoles from over the years including an Atari 2600, Sinclair Spectrum 48k and +2, Commodore Amiga 500s, 600s and 1200s. I also have a Sega Megadrive/Mega CD, Sega Dreamcast and a Sony Playstation 1. I grew up loving the Sinclair Spectrum and whilst I still love the real thing it is more convenient to play games via an emulator on my laptop or desktop PC than it is to plug in all the cables and wait 5 minutes for a tape to load only for the Spectrum to reset itself. (Especially in the case of Frank Bruno boxing which always seemed to do this, I always felt that WHSmith had robbed me of £1.99). 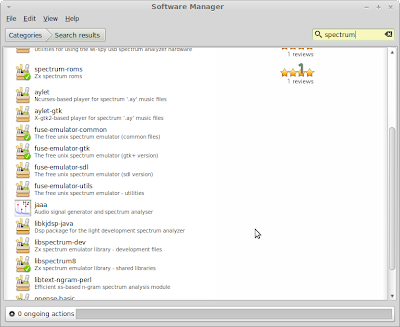 In this article I will show you how to install a Spectrum Emulator using Linux (Specifically Mint 13) and how to get the XBOX 360 Controller to work with the Spectrum Emulator. This is probably the simplest part of the tutorial. 3. 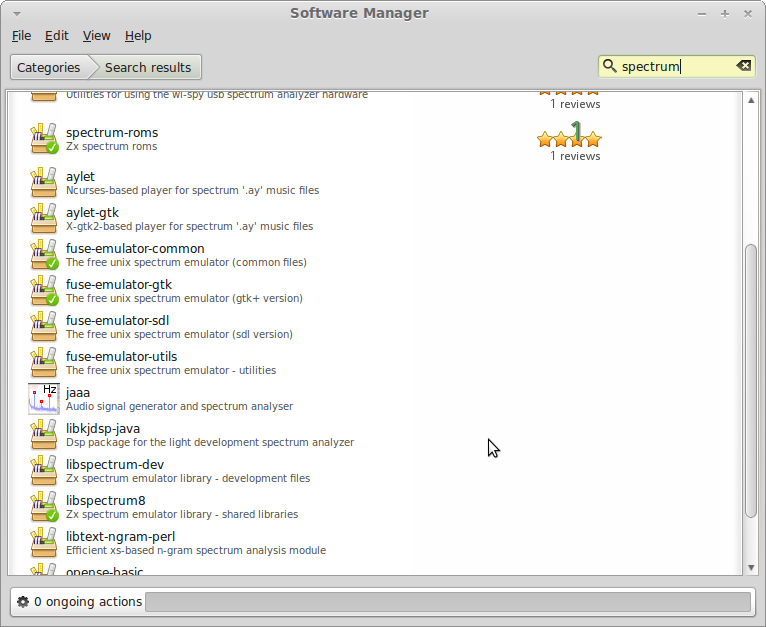 Now search for spectrum and install spectrum-roms. 4. Click the Menu button and go to the games section. 5. 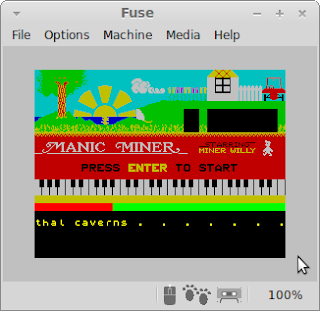 Click the FUSE Spectrum Emulator. There is a brilliant website for Spectrum fans called World Of Spectrum. Follow the link and click the archive section. You will find a full directory of Spectrum games. Download the games you require and unzip them to a folder on your machine. (I created an Emulation folder under my home folder). 1. 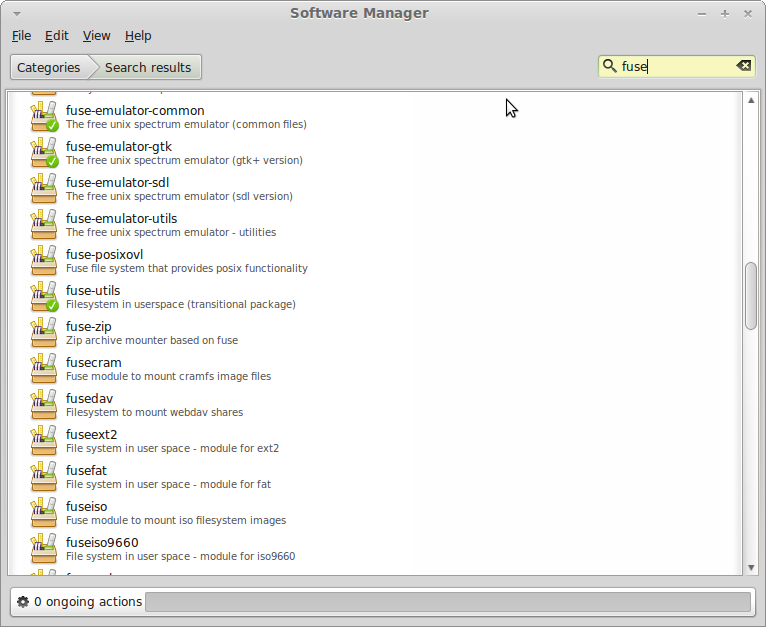 Click File and then Open from the menu (Or just press F3). 2. Find the .tzx file of the game you want to play. The game should load straight away. (Much better than waiting 5 minutes for a real Spectrum). 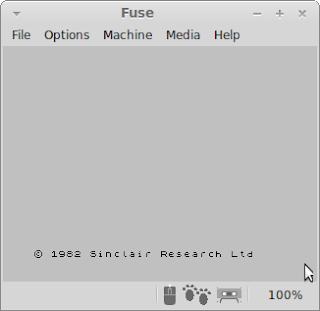 This section shows how to use a wired XBOX 360 controller with the FUSE emulator. First of you need to download xboxdrv. 3. Install the xboxdrv application. 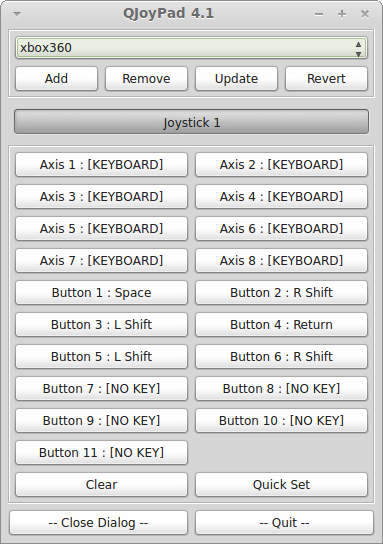 To get the joypad to work with the Spectrum emulator you need to install a piece of software called Qjoypad. 8. Click on the binary package. 9. 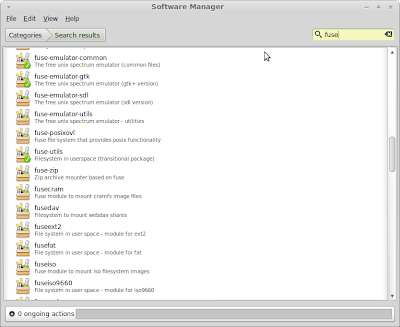 Now click the .deb file that was downloaded and install the Qjoypad package. This will have put a program called Qjoypad under the games section. 10. 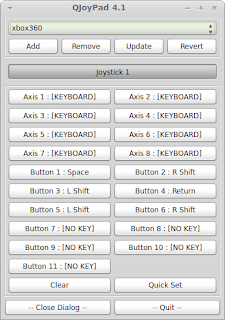 Click the menu, go to games and run Qjoypad. A little joypad icon will appear in your system tray. The interface looks a bit confusing but basically this application enables you to map each axis on your xbox controller to a key on the keyboard. 14. You now need to map each control direction in turn. So for example click up on the left joystick and then press the key on the keyboard that you want to map to up. 15. Click the down arrow on the left joystick and then enter the key on the keyboard for the down button. 16. Repeat for all the other directions and buttons on the XBOX 360 controller. Within FUSE you now need to map the keyboard so that the up key is the same as the key you chose for up in the QJoypad application. 18. Click the button for up dropdown and choose the key that maps to up on your xbox 360 controller. 19. Click the button for down dropdown and choose the key that maps to down on your xbox 360 controller. 20. Repeat steps 18 and 19 for the left, right and fire buttons. Attempt to play the game. The joystick should work and you should be able to play the game as it was meant to be played. To increase the window size select Options -> Filter -> Double Size from the top menu (You can experiment with other screen sizes). I found the best way to control games was to use the D Pad rather than the little joysticks on the XBOX 360 Controller as it responded better to movements. Just ran across your site and was exploring and found this post. I am very impressed with most of your articles that I have read thus far. Thank you! I read some of your reviews on Puppy Linux as user of Wary and Arcade, then I found this post and the radar kicked in as I also have and collect in a small way retro systems and computers. I also belong to a forum at the oldcomputer.com that has roms for almost every retro system going. But that is not my reason for writing this. I think that you should consider sharing this great tutorial on that site by possibly joining the site or possibly getting in touch with Hot Trout the administrator/ owner of the site. This is one of the best and simplest tutorials I have read. I just signed up to the forum. seems like the sort of site I would frequent anyway. Just for confirmation anyone reading the above post visit http://www.theoldcomputer.com as opposed to oldcomputer.com which is a completely different site.